This week room 5 maths are learning how to show/draw the steps we used to solve a maths problem. Here is my showing of how i figured out 264 - 92. 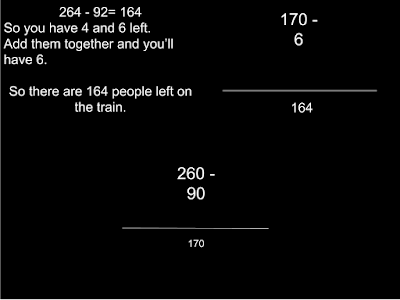 It's really easy to solve and show how I/you worked it out. 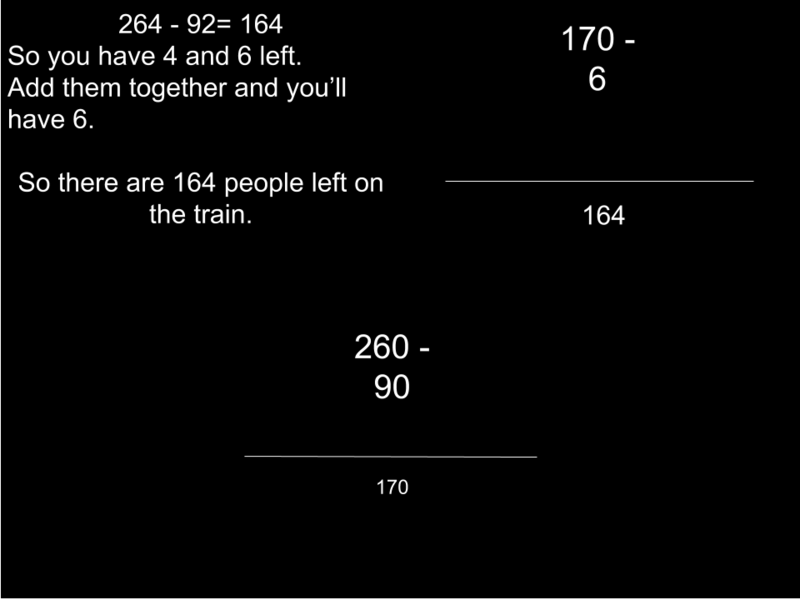 My question was: A train has 264 people on it. 92 people get off the train at the next stop. So how many people are on the train now? My answer was 164. I used and algorithm, which was much easier.